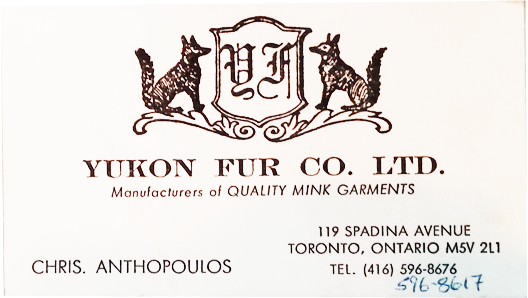 The Award Winning Team, Chris Anthopoulos, Master Furrier, and Pat McDonagh, Designer,chosen to represent Canada at the Economic Summit Conference (1988), The American Legend Fur Show (1989) Frankfurt, Germany. 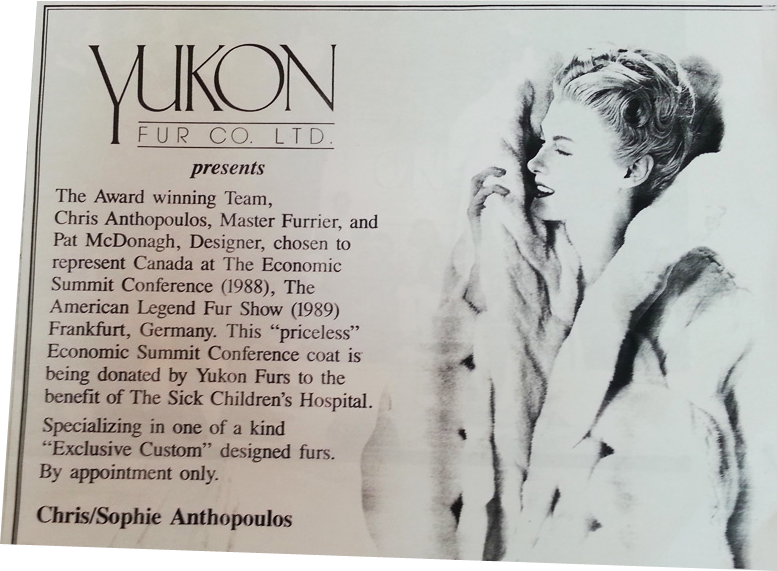 This “priceless” Economic Summit Conference coat is being donated by Yukon Furs to the benefit of The Sick Children’s Hospital. 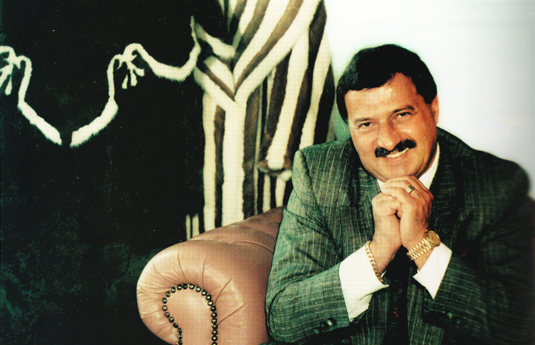 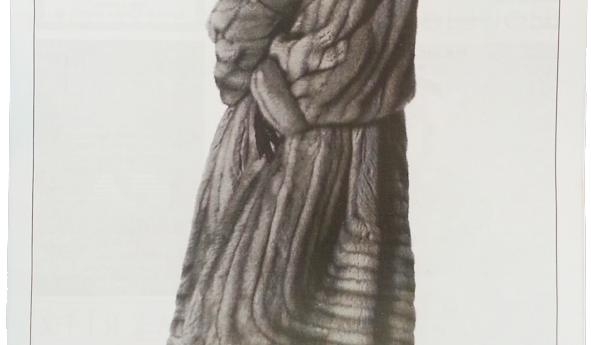 Specializing in one of a kind “Exclusive Custom” designed furs.